Was thinking about doing a post about this and seeing that I have more free time that I know what to do with, I thought I would just go for it. I've said this before and I think it's true. You probably shouldn't listen to me. I really don't know much or what I'm talking about and will probably change my mind on most of the things I think and say but this is what I think right now. Something somewhat recent happened that made me confused and somewhat betrayed on a few levels. (nothing super serious) After the fact and a week or two of being somewhat confused, wasn't sure what to do or think about it so I googled forgiveness. (I told this to someone and they said I shouldn't say things like that out loud. I guess I shouldn't write about them either) I wanted to understand a bit more about it, how to do it and if it is worth it or not. Apparently, the answer is: Yes. 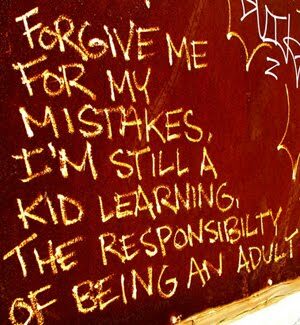 What I got out of my minimal research on forgiveness is you are really doing it for yourself and not so much the other person. Being angry and resentful is detrimental to your physical and mental health. 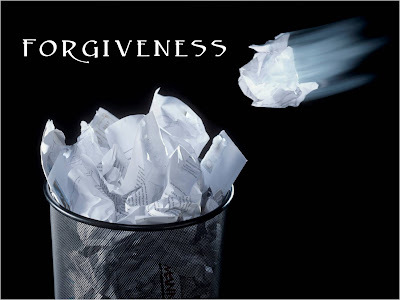 Studies show that people who forgive are happier and healthier than those who hold resentments. "A longitudinal study showed that people who were generally more neurotic, angry and hostile in life were less likely to forgive another person even after a long time had passed. Specifically, these people were more likely to still avoid their transgressor and want to enact revenge upon them two and a half years after the transgression." I had never really thought too in depth about forgiveness but didn't think it would hurt you in such different areas of your life. I also read that "people who are taught how to forgive become less angry, feel less hurt, are more optimistic, become more forgiving in a variety of situations, and become more compassionate and self-confident. His studies show a reduction in experience of stress, physical manifestations of stress, and an increase in vitality." As Confucious says, "Before you embark on a journey of revenge, dig two graves." However, forgiving doesn't mean forgetting, nor does it mean that you've given the message that what someone did was okay. I suppose the point I'm trying to make with what I have found out is that if someone has done something to harm or hurt you, consider forgiving them. I get that there are different levels of how much people may have harmed us but I think even starting to contemplate forgiveness might be a step in the right direction. It worked for me. Just consider it and let me know how it goes.